Today’s Ask Cheryl question comes from a reader that’s planning a baby shower soon after the wedding. She wants to know if it’s OK to invite those that were not invited to the wedding. 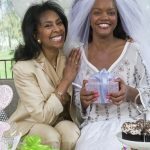 Should people not invited to the recent wedding be invited to the baby shower? Thank you for writing with this interesting question. Baby showers are by their nature gift-giving events. Anyone attending is expected to bring a gift and therefore should be a close friend or family member. You only want to invite those that would be excited about “showering” the mom-to-be with gifts. Therefore, if someone was not close enough to be invited to the wedding, it’s safe to say that she should not be invited to the baby shower. Baby showers, like bridal showers, should be intimate events and kept on the smaller side, as gifts are central to the event. Most guests enjoy seeing their gift opened, and “ooh-ing and aah-ing” over all of the gifts (especially baby gifts). If the shower has too many guests, the gift opening becomes too long and tedious. Additionally, if I had just had a wedding and received wedding gifts, I’m not sure I’d want to have a baby shower and ask all the same people to buy another gift. 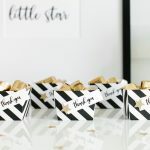 It might be best to wait until the baby is born and then have a post-baby shower, such as a “Sip N’ See.” Those close to the couple are likely to purchase a baby gift whether you have a baby shower or not. How recent was the wedding? A month ago, or six months ago? This makes a difference. If less than 6 months ago, I’d forgo the baby shower altogether. 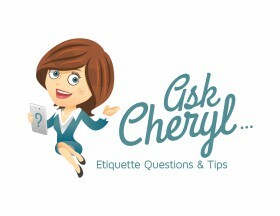 For more information on baby shower and bridal shower etiquette, please view my articles Baby Shower Etiquette and Who Should Be Invited to a Bridal Shower?, or scan through all the AskCheryl blog posts. Ask Cheryl: Should You Give Yourself a Baby Shower? 4 Responses to Love, Marriage, and the Baby Carriage: Who Gets Invited? Great answer and website. I love your blog. Hey, incredible job. I love the AskCheryl articles. I will definitely digg it and recommend to my friends.